We are pleased to present to you this year's Annual Drinking Water Quality Report. This report is designed to inform you about the quality water and services we deliver to you every day. Our constant goal is to provide you with a safe and dependable supply of drinking water. We want you to understand the efforts we make to continually improve the water treatment process and protect our water resources. We are committed to ensuring the quality of your water. This report shows our water quality and what it means. If you have any questions about this report or concerning your water utility, please contact Larry Kowatch, Superintendent and Chief Operator at (814) 445‐2111. We want you to be informed about your water supply. If you want to learn more, please attend any of our regularly scheduled meetings. They are held at the Somerset Borough Municipal Building. Somerset Borough Council meetings are held the fourth Monday of every month at 7:00 PM. Somerset Municipal Water Authority meetings are held the third Monday of every month at 7:00 PM. Call (814) 443-2661 for more information. The Borough of Somerset purchases water from the Somerset County General Authority Water System, please review their “Annual Drinking Water Quality Report” by Clicking Here for additional information. A Source Water Assessment of our source(s) was completed by the PA Department of Environmental Protection (Pa. DEP). The Assessment has found that our source(s) of is/are potentially most susceptible to Transportation Corridors, Junk Yard / Auto Repair Shop and Dairy Farms. A summary report of the Assessment is available on the Source Water Assessment & Protection web page at (http://www.dep.state.pa.us/dep/deputate/watermgt/wc/Subjects/SrceProt/SourceAssessment/default.htm). On review of the document, note that the Source Water Assessment includes surface water from the Laurel Hill Creek. The Borough of Somerset no longer has a permit to use the Laurel Hill Creek’s surface water as a source. Also, Somerset Borough’s water production is limited to only six well water sources not eight. Complete reports were distributed to municipalities, water supplier, local planning agencies and PADEP offices. Copies of the complete report are available for review at the Pa. DEP Ebensburg Regional Office, Records Management Unit at (814) 472-1921. We routinely monitor for contaminants in your drinking water according to federal and state laws. The following tables show the results of our monitoring for the period of January 1 to December 31, 2017. The State allows us to monitor for some contaminants less than once per year because the concentrations of these contaminants do not change frequently. Some of our data is from prior years in accordance with the Safe Drinking Water Act. The date has been noted on the sampling results table. MaximumContaminantLevel Goal (MCLG) - The level of a contaminant in drinking water below which there is no known or expected risk to health. MCLGs allow for a margin of safety. MinimumResidual Disinfectant Level (MinRDL) - The minimum level of residual disinfectant required at the entry point to the distribution system. TreatmentTechnique (TT) - A required process intended to reduce the level of a contaminant in drinking water. Water additive which promotes strong teeth. *EPA’s MCL for fluoride is 4 ppm. However, Pennsylvania has set a lower MCL to better protect human health. EPA/DEP Stage 2 Disinfectant Byproducts Rule requires this quarterly method to indicate MCL Violations. None “No MCL’s or Treatment Techniques were exceeded” in any location of the CCR. Inorganic contaminants, such as salts and metals, which can be naturally-occurring or result from urban stormwater run-off, industrial or domestic wastewater discharges, oil and gas production, mining, or farming. Organic chemical contaminants, including synthetic and volatile organic chemicals, which are by- products of industrial processes and petroleum production, and can also come from gas stations, urban stormwater runoff, and septic systems. If present, elevated levels of lead can cause serious health problems, especially for pregnant women and young children. Lead in drinking water is primarily from materials and components associated with service lines and home plumbing. The Borough of Somerset is responsible for providing high quality drinking water, but cannot control the variety of materials used in plumbing components. When your water has been sitting for several hours, you can minimize the potential for lead exposure by flushing your tap for 30 seconds to 2 minutes before using water for drinking or cooking. If you are concerned about lead in your water, you may wish to have your water tested. 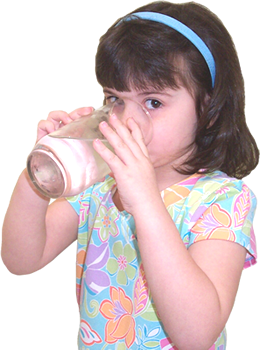 Information on lead in drinking water, testing methods, and steps you can take to minimize exposure is available from the Safe Drinking Water Hotline or at http://www.epa.gov/safewater/lead.